We are pleased to announce a NEW SERIES offered by Booklovers’ Gourmet and Usui Reiki Master Joanne LaLiberte. Space is limited! Reserve early by calling 508-949-6232 or go HERE. (2) Saturdays, February 16th & March 9th from 10:00 am-12:30 pm. Cost is $125 all inclusive. Welcome to the Usui Reiki (spiritual energy) treatment for the improvement of the body & mind. 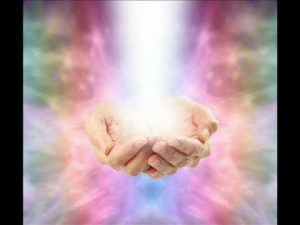 You will receive a Reiki One attunement to allow the Reiki energy to become alive within you. We will all discover how to development and magnify our initial energy so that it applies to our life goals and desires. The word Rei-Ki has two syllables… Rei means “spirit-guided” while Ki (or Chi as in Tai Chi) means energy. The two together mean spiritually-guided energy. Reiki is the art of inviting and manifesting happiness, health and healing …. the miraculous medicine for any dis-ease. Be kind to all people. Error: Error validating access token: Session has expired on Monday, 08-Apr-19 19:39:38 PDT. The current time is Wednesday, 24-Apr-19 08:49:18 PDT.